I still receive a surprising amount of questions about mobile (car/in-dash) shortwave receivers. We have a dedicated category to all things mobile shortwave but it is certainly a radio category with comparatively few options. One option to consider is the BST-1: a receiver I reviewed two years ago. The Sony CDX-GT260S requires installation, but shouldn’t be overly complicated to install especially in older vehicles. 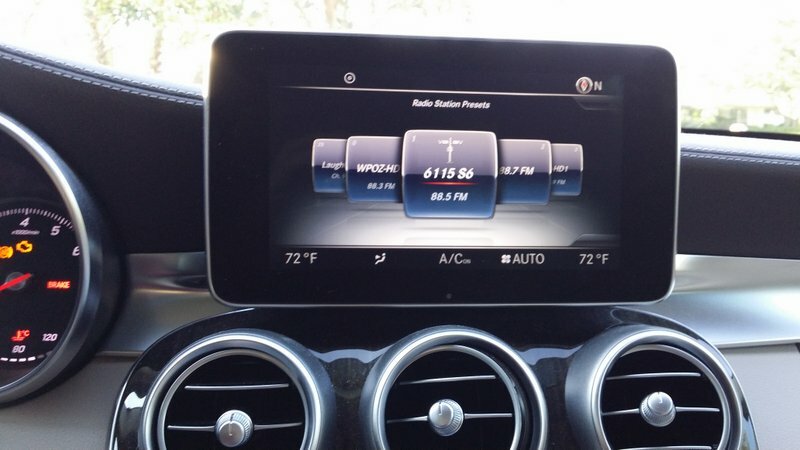 Post readers: Anyone listen to shortwave in the car? What’s your receiver of choice? This entry was posted in Mobile Shortwave, News, Shortwave Radio and tagged Car Shortwave Radios, Shortwave Radio, Sony CDX-GT260S on August 28, 2018 by Thomas. Overall: a good sensitive receiver, with a very inventive interface. I am looking forward to my long commutes for a change. Using the FM RDS info on the car radio is a stroke of genius. Performance: Miles ahead of my old MFJ 3 band heterodyne converter. I could hear 2 or 3 stations in the day, maybe 6 or 8 at night. With this new receiver during my morning and evening commutes in the NE US, I can hear dozens of stations day or night. 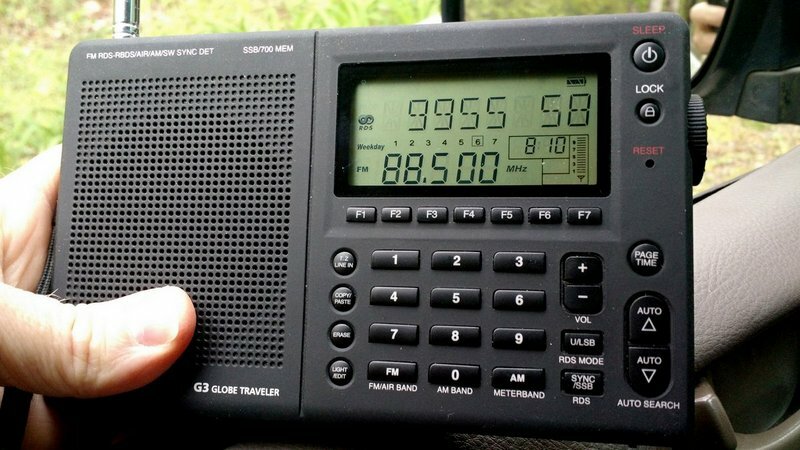 Performance is roughly on par with a decent shortwave portable using the built in whip. I get 6070 Canada listenable 2 out of 3 days, 9580 Australia one out of 4 days in the morning, Radio Romania is an S5-8 beacon in the evenings. Quirks: when the receiver is powered down, it does not save the music/speech bandwidth setting. It always comes up in the speech mode. Also, when you are in tune mode and wrap around from 0 kHz to 33 MHz or vice versa, there is a glitch. Instead of scanning on the even 5 kHz intervals, it changes to scanning on the 3 and 8 kHz or 2 and 7kHz intervals: 32.003, 32.008, 32.013, 32.018, etc. instead of 32.000, 32.005, 32.010, etc. If you go back to preset frequencies, scan, and then go back to tune mode, it is back to normal. I have only seen spurious signals around 2 MHz or so. I think it is some 15 MHz broadcasters bleeding through – only one or two usually. No other spurious signals apart from this seen yet. Make it so you can switch the AM broadcast filter in and out, maybe with an attenuator. I live over 50 miles from the nearest high powered AM station, and it would be nice to be able to BC/LW DX. The receiver is quite sensitive down there. On 1700khz where the filter doesn’t have much of an effect I can hear an AM station 80 miles away. Instructions on putting in a manual switch to do the same would be good as an alternative to this. Thanks for sharing your review, Matt! I agree that the BST-1 is surprisingly sensitive, especially for a mobile receiver. Click here to view the BST-1 order/information page. Click here to view our review of the BST-1. This entry was posted in Mobile Shortwave, News, Reviews, Shortwave Radio, Shortwave Radio Reviews and tagged BST-1, BST-1 Car Shortwave Radio, BST-1 Car Shortwave Radio Review, BST-1 Review, Car Shortwave Radios on October 10, 2016 by Thomas. The following article originally appeared in the June 2016 issue of The Spectrum Monitor Magazine. 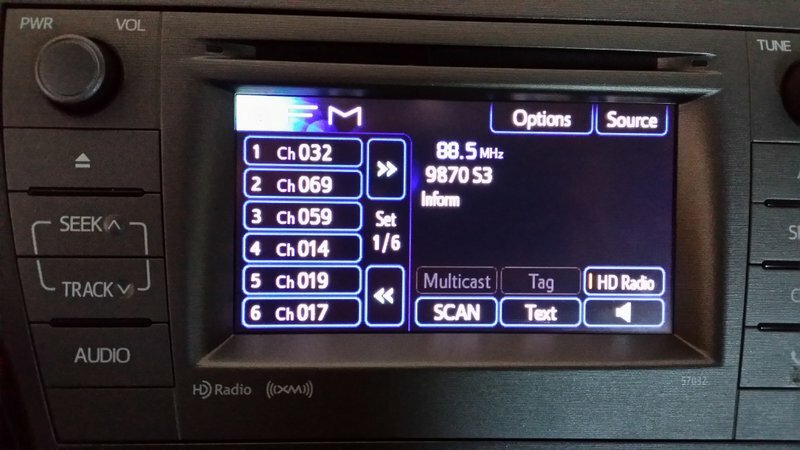 Last year, I was approached by die-hard shortwave radio listener Fred Studenberg, who had an idea that at first seemed outmoded, but soon had me intrigued: he wanted to design and build a car radio. Well, a car shortwave radio. Studenberg described his ideal car receiver. It seems he’d abandoned the idea of making a radio along the lines of a Sony, for example, that takes the place of an existing car radio. 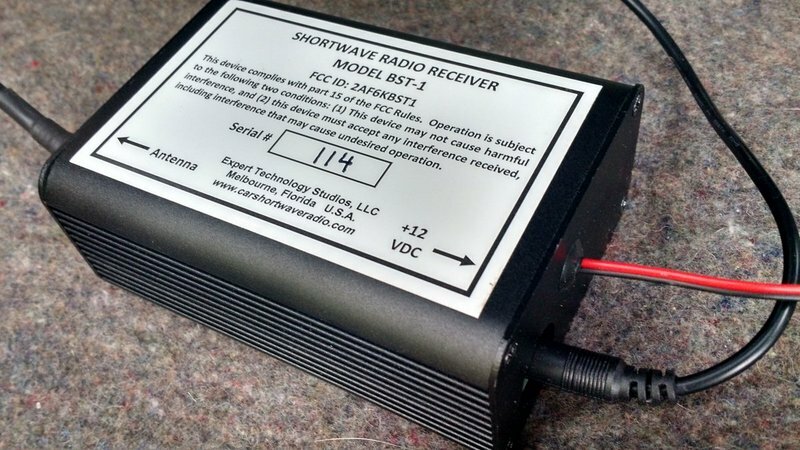 Rather, Studenberg, with singular purpose, envisioned something quite unique: a little black box shortwave that could be easily installed in the back of a vehicle, transmitting audio from the shortwave receiver to the car’s system via an FM transmitter link. One would tune the car radio to an FM frequency––say, to 88.5––and listen to the shortwave receiver which would be located at a convenient location, near the mobile antenna, somewhere in the car (in the trunk, under a seat, etc.). I was doubtful…and for good reason. To begin with, I’ve never used an effective audio FM transmitter link in a vehicle. They’re all rather mediocre, and usually inject noise––or, are simply too weak to be effective. Secondly, I imagined it would be frustrating to remotely operate a little black box stashed in the trunk of your car without some form of display feedback at hand, showing frequencies and so forth. Plus, I concluded, wouldn’t it be a pain to install? And how would you control such a shortwave receiver? To top it off, I just couldn’t imagine such a system coping with the RF-noisy environment of an car. The more I thought about it, the less feasible it seemed. I hated to disappoint Fred with my concerns. And this video silenced my concerns: remarkably, it appeared Studenberg had managed to overcome each of my doubts. I was impressed, and interested. All Studenberg wanted to know was, might any other SWLs benefit from such a device? I thought of all the commuters and frequent travelers out there, with a penchant for shortwave and a shortage of time in which to enjoy it. Are you kidding? I thought. 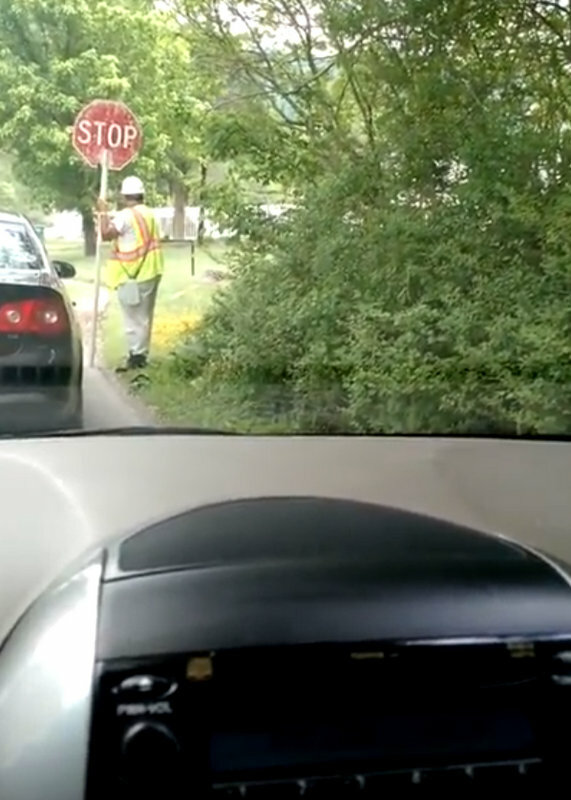 What SWLers wouldn’t give to turn a tedious traffic jam into a shortwave jam session? Fast-forward to this year, when Studenberg put his BST-1 on the open market. And in late February, he kindly sent me a loaner BST-1 to evaluate. As many regular readers know, this has been a particularly busy winter and spring for me, so I had to delay installing the BST-1 in my car. I was sure it would require dedicated time and likely a bit of troubleshooting to get the shortwave working as intended. But recently I finally had a moment to install the BST-1. And I quickly I realized that, yet again, I had been fretting over nothing. My Toyota minivan was actually well-suited to installation of the BST-1, since it has a hinged hatchback door, a dedicated 12VDC plug in the rear, and even a small niche in which to tuck the BST-1. The BST-1 is also supplied with a 12VDC cigarette lighter plug. If you have a minivan or SUV with an auxiliary DC port, powering the BST-1 will require no tools. The supplied shortwave radio steel antenna whip is short and effective. It should mount on most vehicles with little problem. Admittedly, my minivan’s hinged door doesn’t work perfectly with lip-mounted brackets—but after some trial and error, I found just the place to mount it where the door wouldn’t damage the base of the antenna. The feed line was easily long enough to cover the span from the top of the door to the receiver. As for the receiver, it really was a cinch to install: I simply connected the antenna feed line, plugged in the supplied 12 VDC power cord (note that, alternately, there are also twelve VDC pigtails that can also be used) and placed the BST-1 in the back pocket compartment of the minivan. I’m sure some vehicles will lend themselves to an easy installation like mine, while some may actually be a bit more difficult. Regardless, I do think the installation process is very easy compared with, for example, installing a mobile ham radio transceiver. I turned on my car’s power, tuned the radio to the default FM frequency, and after a brief spot of tuning, recognized the unmistakable vociferations of Brother Stair—a sure sign that we’re (a) in North America, and (b) on the shortwaves! If, like me, you’re the type of person that likes to dive into a new product without referencing a manual, you may need to dial down your impulsivity a little to experiment with the BST-1. 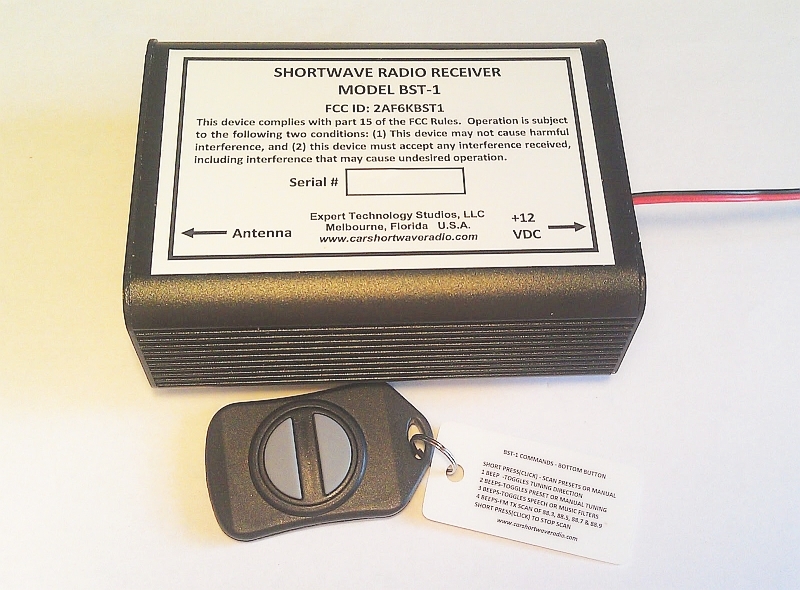 While the remote control—a two-button key fob—is extremely simple to use, it’s important to learn how it interacts with the BST-1 receiver. Studenberg’s tuning system is amazingly multifunctional, permitting the tuner to keep his/her hands on the wheel––and car on the road!––while simultaneously pursuing the SWL hobby. Studenberg unlocked a total of twelve functions on a two-button key fob by employing a clever system of short or long presses. 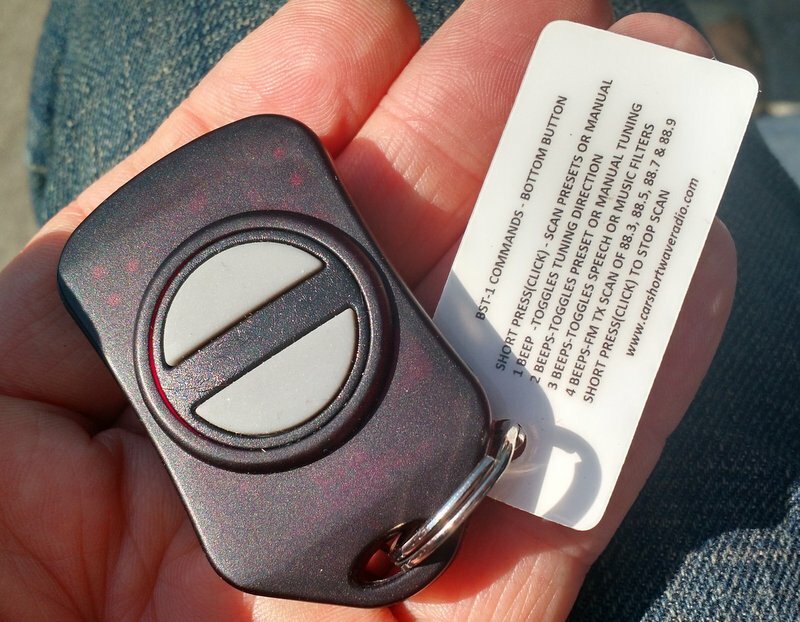 With a short press of the top or bottom button of the key fob—essentially a quick “click,” like you would use to unlock a car door, and which can readily be done while driving—you can single-step tune in 5 kHz steps, or cycle through preset memories. After pressing and holding the top or bottom button, you’ll hear an audible feedback beep. As you hold the button down, you cycle through one, two, three, and four selections, each marked, again, by an audible beep, thus: beep, beep-beep, beep-beep-beep, and finally beep-beep-beep-beep. Each sequence has a slightly different tone to enable you to better distinguish them. For example, if I want to toggle the AM filter between narrow (voice) or wide (music), I press and hold the bottom button until I hear one beep, then two beeps, then three beeps: as soon at the three-beep sequence is heard, I let go of the button, and the filter will toggle. As another example, if I want to store a frequency in memory, I’d press and hold the top button until I heard a sequence of four beeps, then let go. 3 Beeps Quick to tune Preset Channel 50, WWV at 5 MHz. 4 Beeps If in TUNE mode, stores currently tuned frequency (Morse code “S”). If in PRESET mode, it will delete the channel. To prevent accidental deletions, this delete function must be executed twice. The first activation will display the message “R U SURE” and send the Morse code “?”. The second activation will delete the channel and then display the message “DELETED”. 4 Beeps Starts scanning of FM transmitter among 4 frequencies : 88.3, 88.5, 88.7, 88.9 MHz. It took a couple of days to get used to the commands I used the most (tuning by steps, scanning, memory scans, and changing the filters/sensitivity) mainly because I was driving while using the BST-1. Several models of shortwave portables, like my Grundig G3, have RDS which allows me to easily set BST-1 station memories. Note that RDS is a standard feature on most vehicles sold today–sadly, my 2008 model minivan lacks RDS. While driving alone, obviously I couldn’t divert my attention from the road to read the included reference guide attached to the key fob, so I had to simply take a bit of time off the road to review the manual. Studenberg’s tuning system is amazingly multifunctional, permitting the tuner to keep his/her hands on the wheel––and car on the road!––while simultaneously pursuing the SWL hobby. My very first day on the road with the BST-1, I was pretty impressed with its performance. 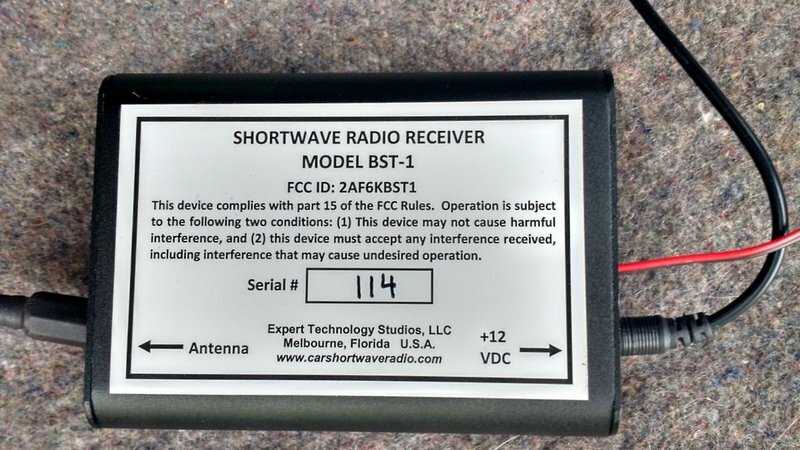 The BST-1 has the same form-factor of most SDRs: a black box. The small size and light weight make it ideal for stashing under a seat or in your vehicle’s trunk. Of course, “mileage may vary” depending on your particular vehicle and receiver installation, but in my case the BST-1 proved to be a fairly quiet receiver on the road. I heard no significant RF noise due to the car’s ignition or engine, and the FM transmitter audio link worked very effectively. I live in a relatively rural area with only a few broadcasters in the BST-1’s 88.3 – 88.9 MHz transmitter range. There is, however, a fairly strong broadcaster on 88.9, but surprisingly the BST-1’s FM transmitter is strong enough that my car’s FM receiver blocks it. Not bad! Additionally, the shortwave audio is unexpectedly good through my car’s audio system. The 5 kHz/3kHz bandwidth selections are appropriate for decent audio fidelity; indeed, the 5 kHz filter actually sounds more like a 7 kHz filter to my ears. In terms of sensitivity, the BST-1 exceeds my expectations. The sensitivity is ample enough to receive almost every domestic shortwave broadcaster, strong international broadcasters, and time stations like WWV and CHU Canada. To be fair, I’m sure the sensitivity is being hampered somewhat by the fact the receiver must operate in a mobile environment with the accompanying local interference, but it’s still quite capable. Of course, here in North America (during the daytime especially), you’ll hear a lot of the Overcomer Ministries via various private/religious broadcasters. Most of the time, these broadcasts are received as clearly as a local AM broadcaster. In terms of selectivity, the BST-1 is effective. For about ninety percent of my listening, it rejects adjacent signal interference. In extreme cases—like that of Radio Australia (9,580 kHz), which experiences regular interference from China Radio International (9,570 kHz)—it struggles. But in truth, only the very best of my receivers—typically ones with selectable sync detection—can mitigate most of CRI’s spurious emissions. In other words, I’m pleased I’m able to listen to Radio Australia with the BST-1 despite the noise from CRI. Click here to view a video I made listening to Radio Australia while waiting 20 minutes in construction traffic. The BST-1 is unlike any other receiver I’ve reviewed here on the SWLing Post. So let’s get to the point: is it worth the purchase? If you’re looking for a receiver to snag rare and weak DX while mobile, you will be disappointed. Expectations should be kept in line on this point. Especially while your car is running, the BST-1 simply doesn’t have the characteristics of a DX receiver (low noise floor combined with excellent sensitivity and a super stable AGC, for example). And frankly, the process of band-scanning in 5 kHz steps seeking an elusive weak-signal station would not be fun. Simply put: the BST-1 is a lot of fun! Without breaking the bank, the BST-1 can bring many of your favorite broadcasters, and the SWL experience, to your vehicle. Once memories are loaded, it’s a simple process to scan them manually or automatically. And at night? 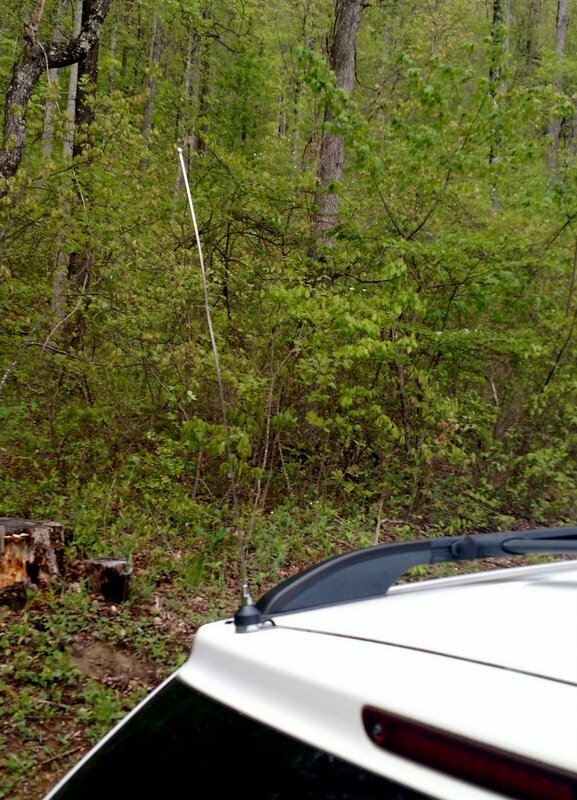 You may very well snag serious DX here and there—especially if parked in an area far away from urban radio interference. In short, the BST-1 is simple to use, unobtrusive, and, frankly, does what it’s designed to do: permit you to SWL in your car. If your vehicle’s radio has RDS, you’ll have full access to the BST-1 display information. In conclusion, I’m so glad I finally installed the BST-1. If your vehicle has a RDS capabilities, the BST-1 will feel like a fully-integrated part of your mobile audio system. Even without RDS–like my situation–it still packs a lot of punch and is impressively engineered for distraction-free operation.. 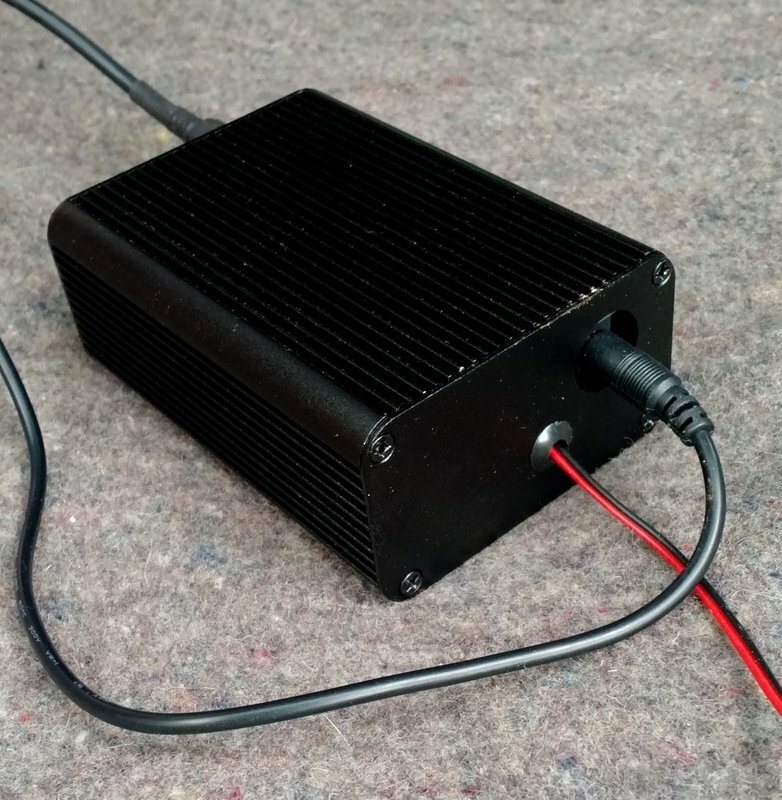 I must admit, it’s awfully magical to be driving down the highway here in the States, listening to, for example, Radio Australia, some 15,700 km away… So if you travel or commute regularly, and you love SWL, this little mobile shortwave receiver might be just made-to-order for you, too. At $179.50 plus shipping, the BST-1 costs about the same as a decent portable shortwave receiver–a good value in my book! Click here for BST-1 ordering information. This entry was posted in Mobile Shortwave, New Products, News, Shortwave Radio and tagged BST-1, BST-1 Car Shortwave Radio, BST-1 Car Shortwave Radio Review, BST-1 Review, Car Shortwave Radios, Fred Studenberg on July 10, 2016 by Thomas. Tonight on Allan Weiner Worldwide (WBCQ 7490 kHz coming in beautifully on my FRG-7) Allan mentioned a shortwave radio converter for car radios. The package uses a small box which plugs into the cigarette lighter socket and can either use an antenna made for the converter or an antenna supplied by the user. The unit can display frequencies through the FM RDS display, and has a key-fob controller for scanning and saving stations into memory. Excellent sensitivity – 0.5 microvolt at the antenna connector will stop the preset scan and provide a very listenable signal. Automatic Gain Control – Keeps audio levels constant for weak and strong stations. Full Shortwave band coverage – tune to any 5 kHz spaced AM channel from 2.3 to 26.1 MHz. The frequency coverage is actually from 150 KHz to 30 MHz but with reduced sensitivity when operating outside of the shortwave bands, especially below 1.8 MHz. This extended frequency range lets you listen to the 10 and 160 meter ham radio bands as well as CB channels. If you are close to the transmitting antenna, you can even hear airport beacons in the 200 to 400 KHz radio-location band. DSP (digital signal processor) selectivity – Sharp 3 kHz for speech or wider bandwidth for Hi-Fi music. 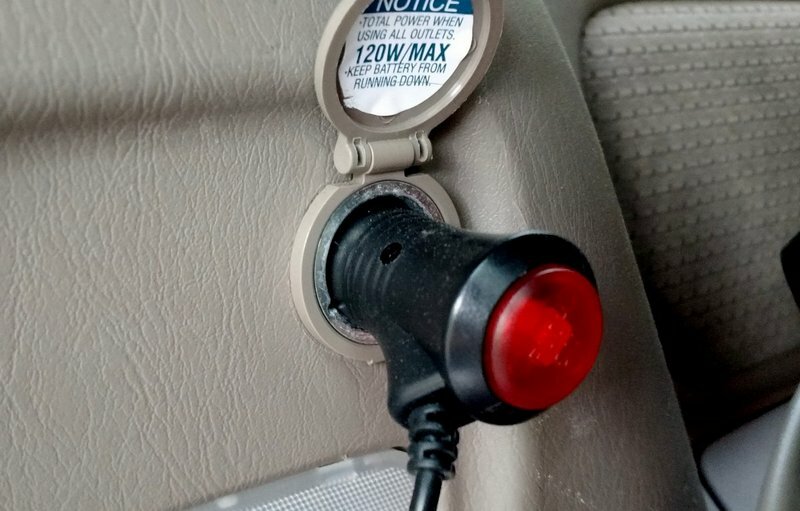 Noise Blanker – A digital noise blanker greatly eliminates any spark plug noise from car engine that can disrupt reception.Built-in crystal controlled FM transmitter – Has RDS to display 5 digit tuned shortwave frequency and preset channel number/ “S” meter on the vehicle’s FM radio. Four BST-1 broadcast FM frequencies can be selected by the Key Fob Controller so you always have a clear FM channel to use. Programmed with 88.3, 88.5, 88.7, and 88.9 MHz – one of these channels will always be clear to listen for the BST-1’s FM transmitter. If you know Morse code for the numbers 0-9 (very easy to learn), you can use the Key-Fob to activate a Morse code annunciation of tuned frequency. This aids in operation if your FM receiver doesn’t have RDS display or if you can’t look at the display on the FM radio while driving. Key-Fob command for instant selection of WWV channels – 5,10,15, and 20 MHz for accurate time and signal propagation checks. High or Low sensitivity selection by the Key Fob – Optimum performance can always be obtained during conditions of very strong signals. Rugged construction – Designed for automotive use. Memory storage of up to 100 preset channels- After changing channels, the preset channel is shown on the RDS display for 3 seconds and then the display switches to show the “S” meter. The BST-1 can be manually tuned to any 5 KHz channel in the turning range and if desired, that new frequency stored in preset memory (up to 100 presets). Note that the BST-1 radio is AM reception only so 5 KHz tuning intervals are optimum since all International Shortwave stations are on 5 KHz channels. A digital AFC (Automatic frequency control) circuit in the BST-1 is used to automatically compensate for stations that are slightly off (+/- 150 ppm) the exact 5 KHz channel. Pre-programmed- The BST-1 is ready to start listening right away. Comes with 50 popular U.S. and International shortwave stations as well as WWV at 5,10,15 and 20 MHz. Easily add or delete preset channels using the Key Fob controller. This entry was posted in Mobile Shortwave, News, Radios, Shortwave Radio and tagged Car Shortwave Radios, Shortwave Radio on March 11, 2016 by Robert Gulley.